Winter Crafts Fair and the International Day of Persons with Disabilities will be held at the Ismailit Centre inDushanbeon 6 and 7 December. 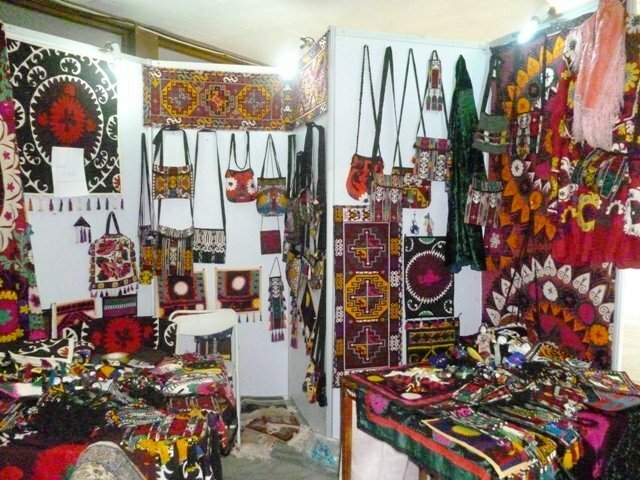 The organizers of the fair are Craftsmen Union of Tajikistan in partnership with Cesvi and joint coordination of theCulturalCenter"Bactria". This event will be attended by 50 Tajik masters of craftsmanship. Here you will see free workshops on embroidery, textiles, painting and decorating. There also will be held joint activities: various kinds of shows, musical performances, film screenings, information exhibition, fair food, fashion show and more. According to the organizers of the exhibition, the event will bring together two areas of EU policy in Central Asia, firstly, it is economic development through support of small enterprises (including crafts), and secondly, the achievement of the solidarity of civil society, above all, it’s a protection of persons with disabilities, their rights, dignity and well-being.